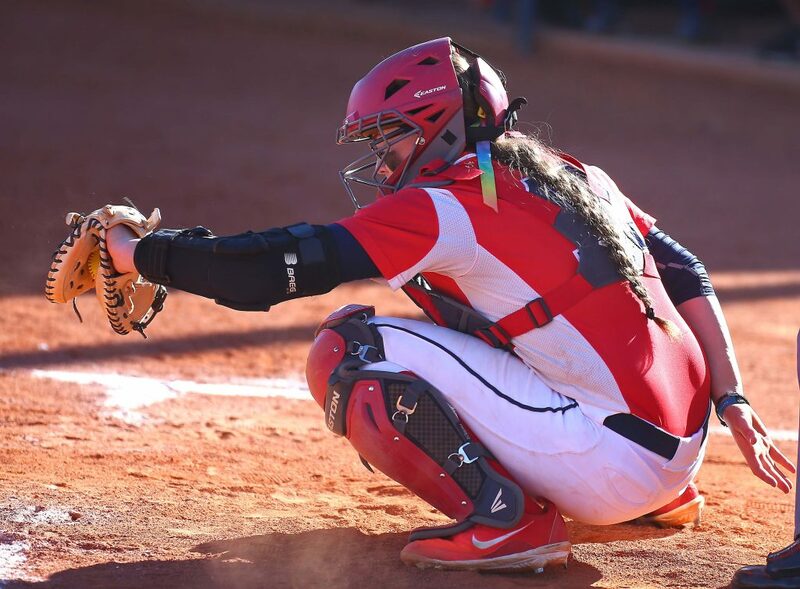 ST. GEORGE – How can a doubleheader split that featured a no hitter for the home team be described as heartbreaking? 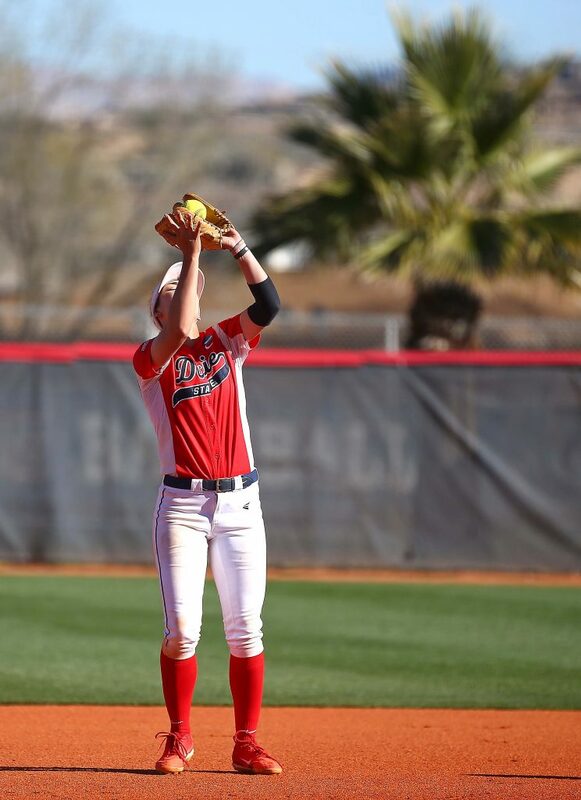 Truthfully, that’s what it was for Dixie State Wednesday as the Trailblazers dominated Azusa Pacific 8-0 in the first game, then squandered a 12-run lead in losing the second game to the Cougars 21-19. First, the good news. In the early game, Cambrie Hazel was phenomenal. 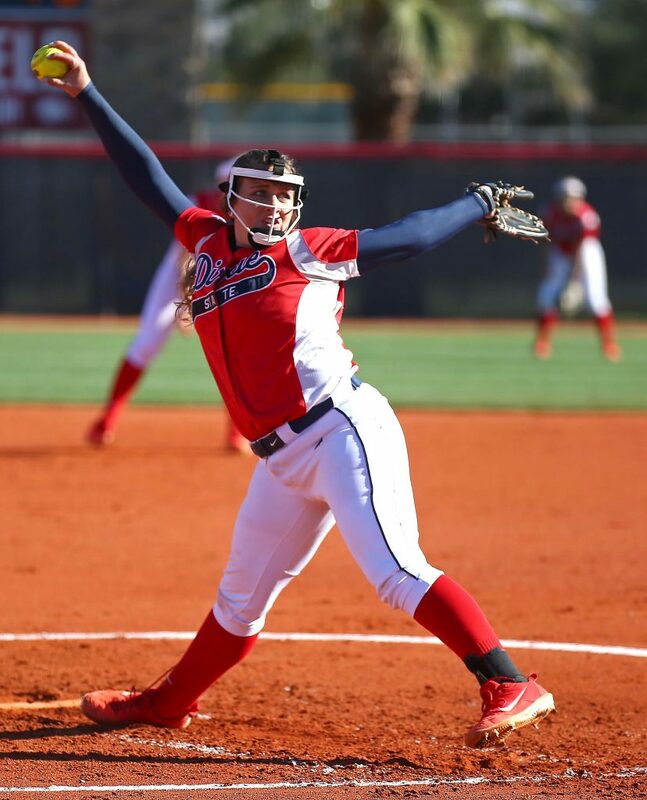 The freshman from Spanish Fork allowed no hits and struck out four batters en route to the shutout masterpiece. 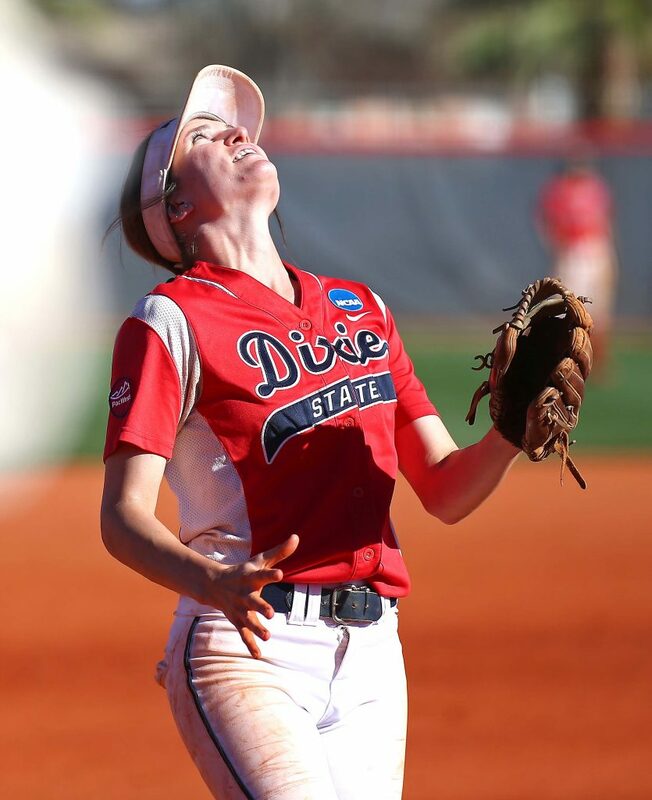 Cambrie, who pitched a perfect game earlier this month, would have had another if not for two DSU errors in the contest. 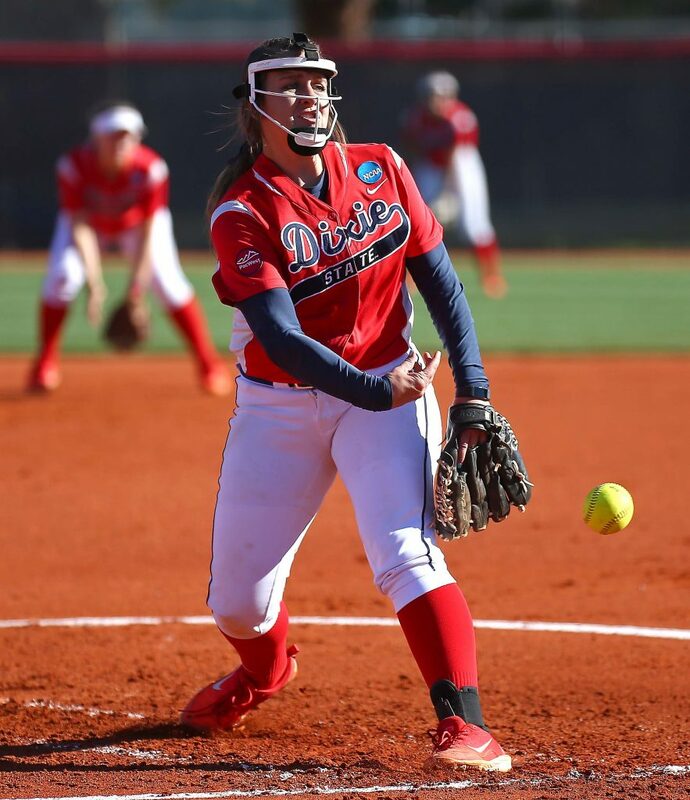 She faced just 17 batters in the mercy-rule shortened game. The offense gave her plenty of support, too. 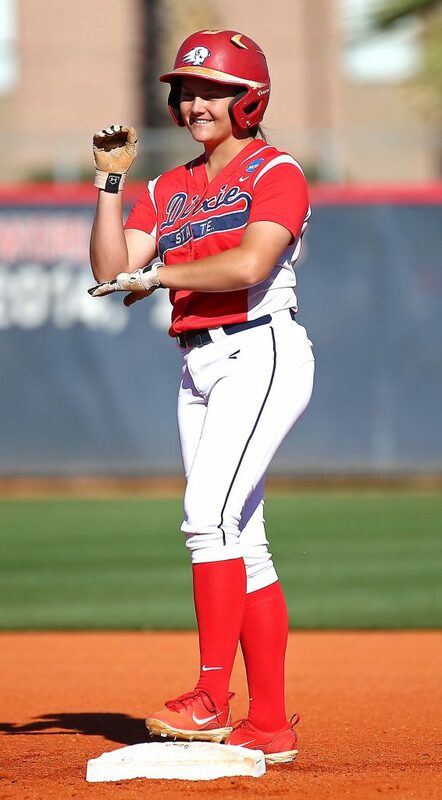 Riley Tyteca hit a two-run home run in the second inning and Dani Bartholf followed a few moments later with an RBI single to make it 3-0. 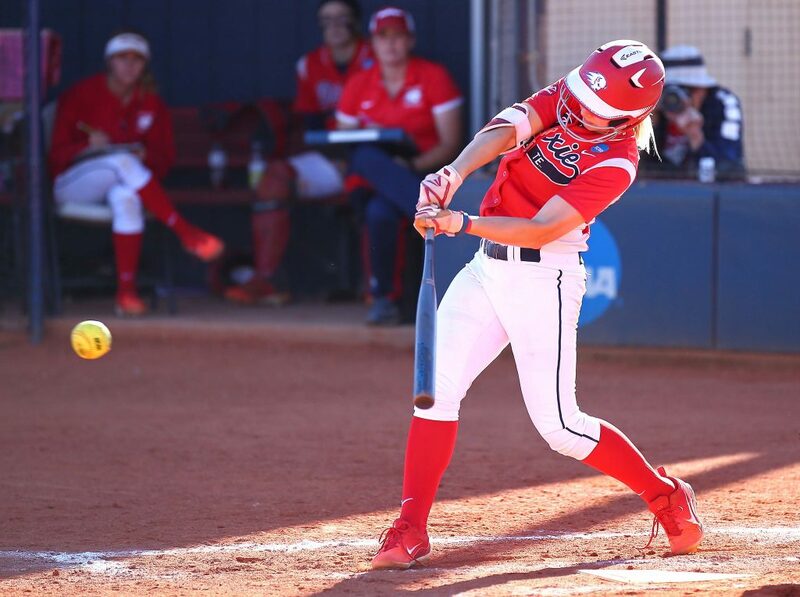 Bailey Gaffin then matched Tyteca and raised her one with a three-run homer in the fourth inning that made it 6-0. 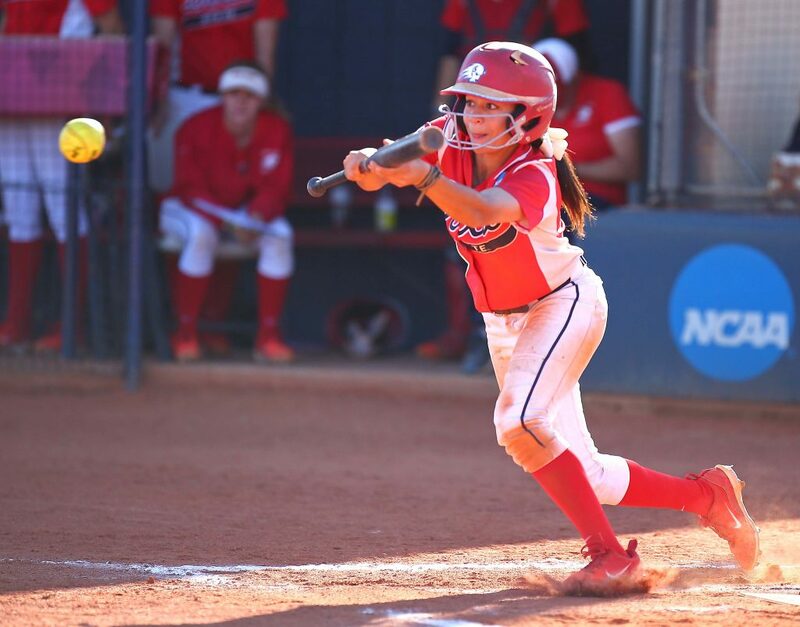 Dixie State then ended the game early with two runs in the bottom of the fifth as Kenzie Sawyer and Jessica Gonzalez both had RBI singles. 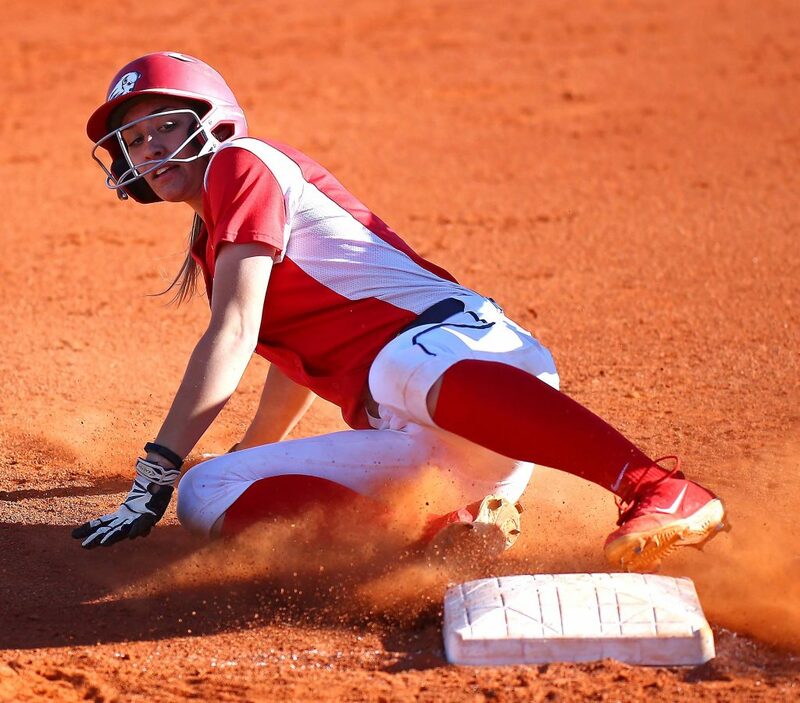 Sawyer ended up with three hits in the game, while Tyteca had two and Brenna Hinck reached on three walks and had a stolen base. 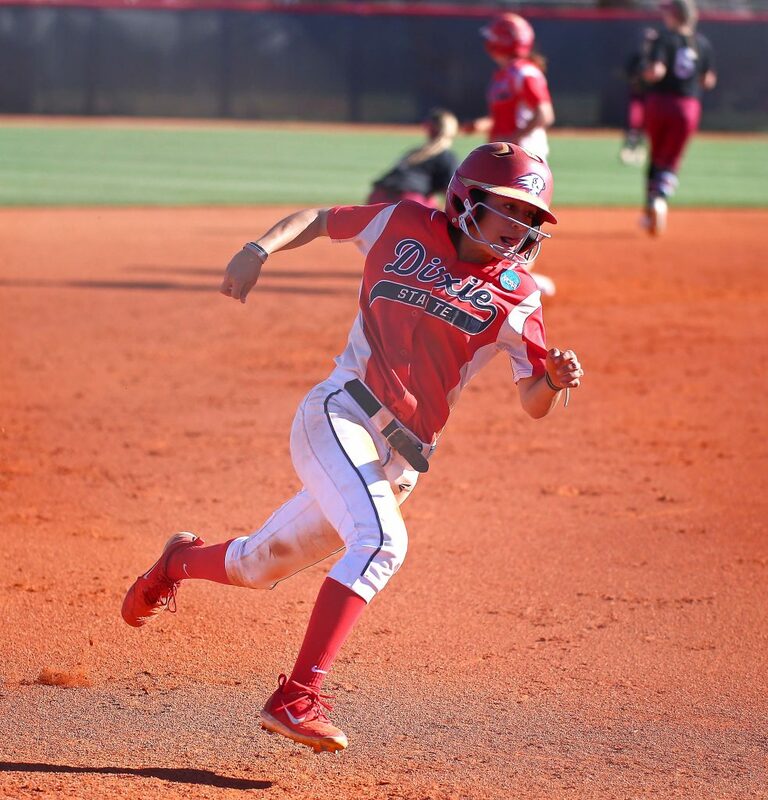 DSU had 10 hits and drew six walks in the win. 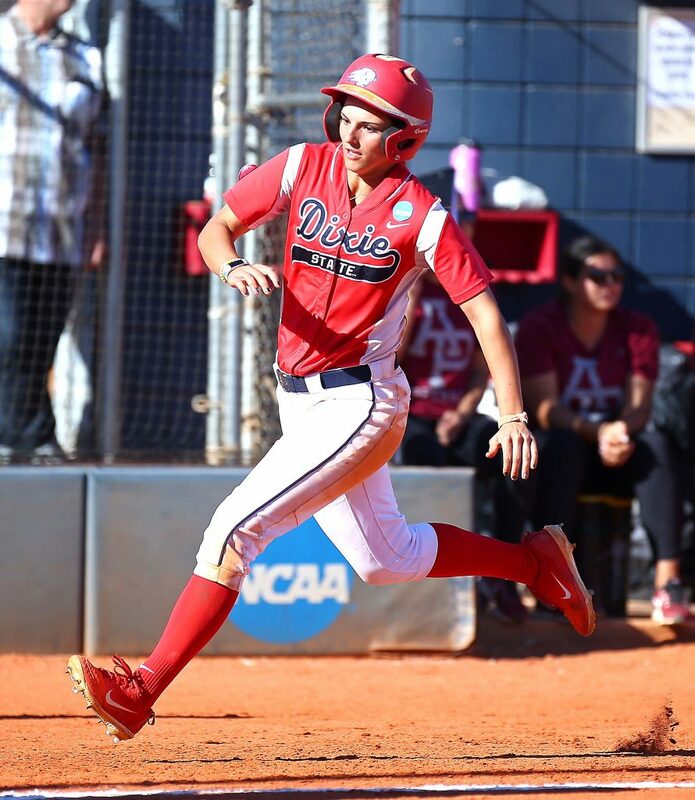 Game two looked like it would be another Dixie State blowout as the Blazers scored three runs in the first and nine in the second to forge a 12-0 lead after just two innings. 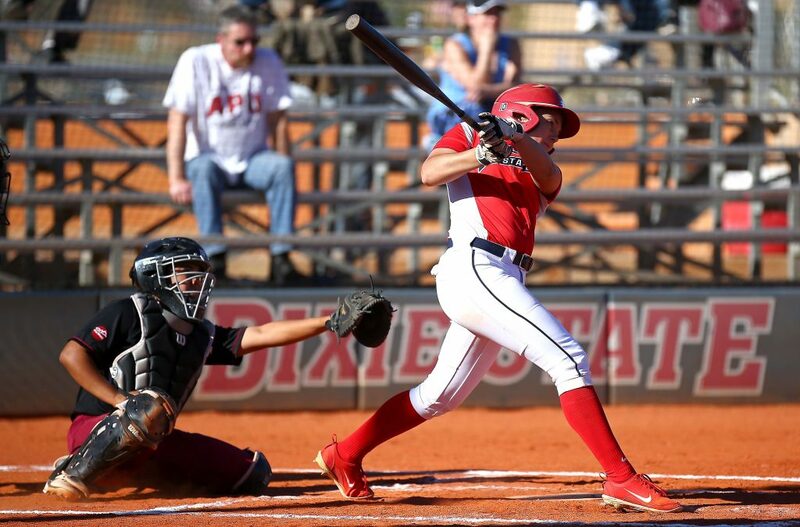 Janessa Bassett and Taylor Godfrey each doubled in the offensive explosion for DSU. But the Cougars, who are just 12-17 on the season (5-9 in the PacWest Conference), started to wake up. Though the pitching was still weak, Azusa Pacific put six runs up in the third and fourth innings to make it a 17-6 game. And then came the fifth inning. 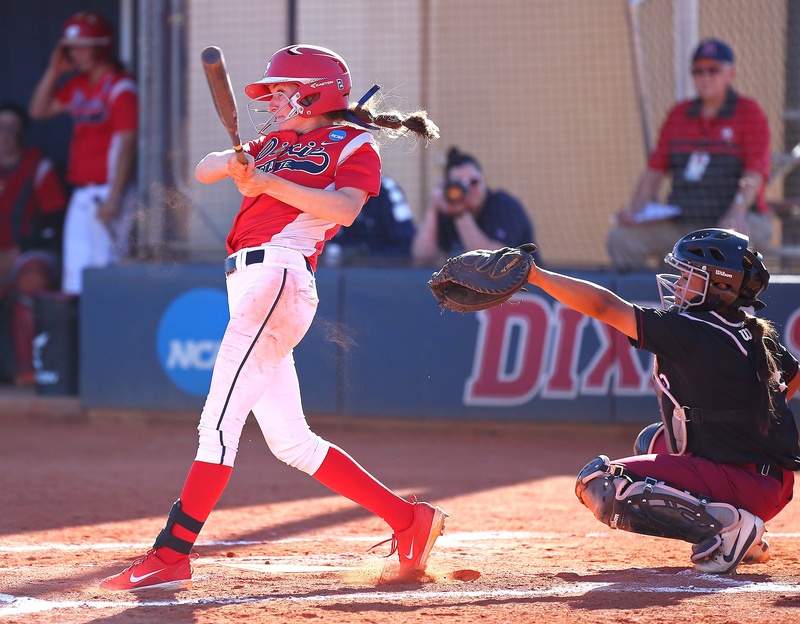 Kayla Jimenez and Melanie Abzun each homered and APU took advantage of a couple of Dixie State errors to post nine runs on the board and make a game of it at 17-15. 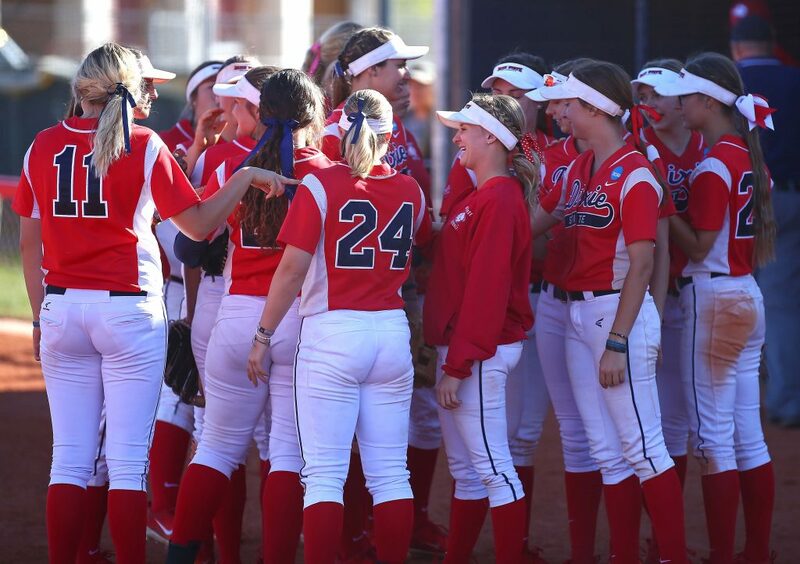 After shutting Dixie State out in the bottom of the fifth, APU scored three more in the top of the sixth to take an 18-17 lead. 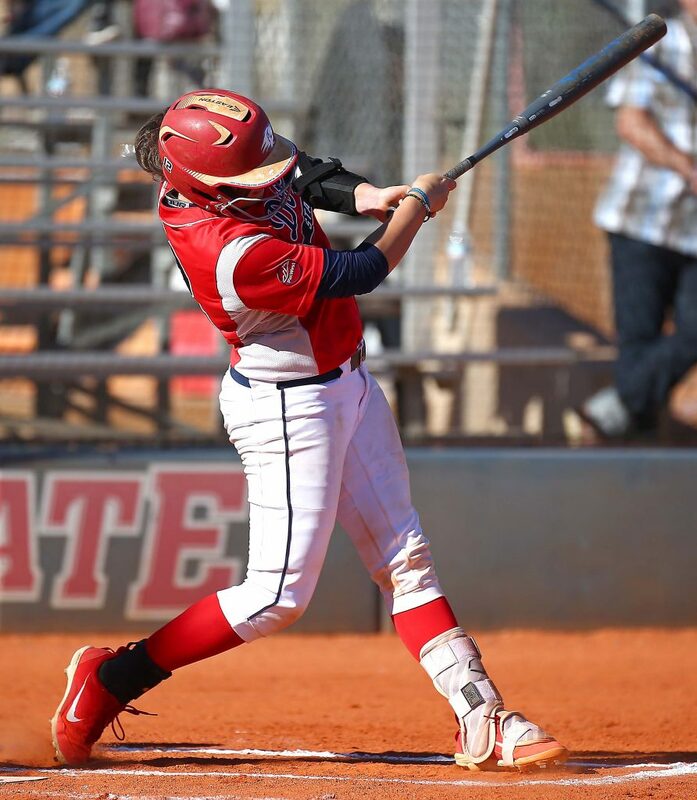 The Blazers tied it at 18-18 in the bottom of the sixth after a base hit by Kori Gahn, but the Cougars posted three more runs in the top of the seventh to take the lead. 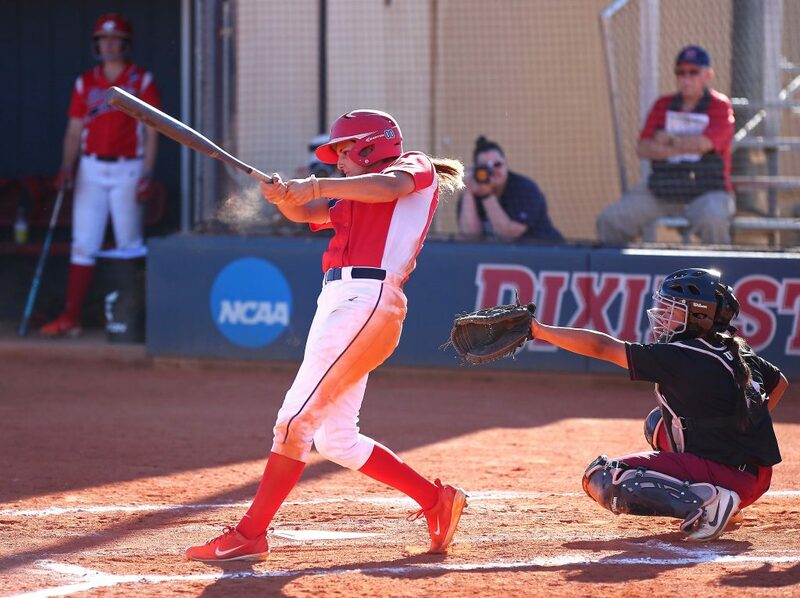 Dixie State got one home in the bottom of the inning, but could not get anything else across in taking the frustrating loss. 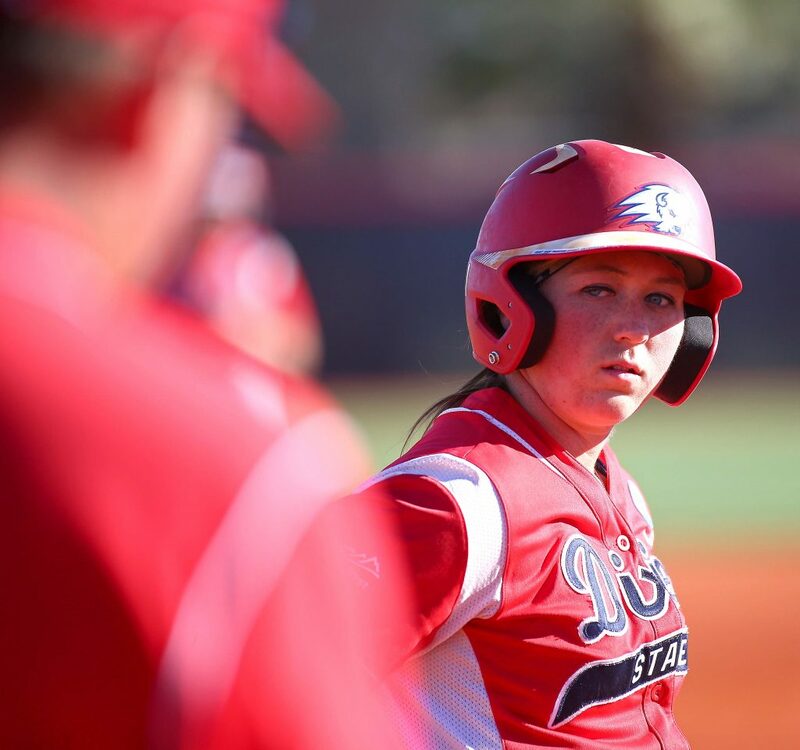 Godfrey had four RBIs and Bassett scored four times in the loss for DSU, but the Blazers committed three errors, leading to nine unearned runs. The two teams will meet again Thursday in another doubleheader beginning at 3 p.m. at Karl Brooks Field. 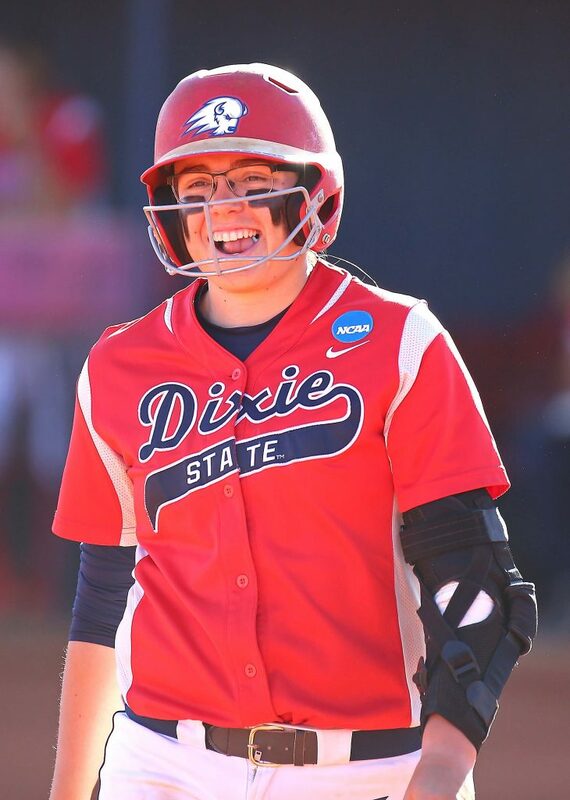 Dixie State, ranked fifth in the country in Division II, moves to 23-3 overall and 9-3 in conference play after the split Wednesday. The Blazers trail Cal Baptist by two games in the loss column in the PacWest standings.